I'd really looked forward to coming and saying goodbye to everyone... but RL took over and I couldnt make it. I'm really disappointed. I really loved this server. I have to admit I was a bit sour about it closing and that's why I refused to participate on the last day, but it was an amazing server, thank you devs and creators of the server, had a really good time on it with really nice people. 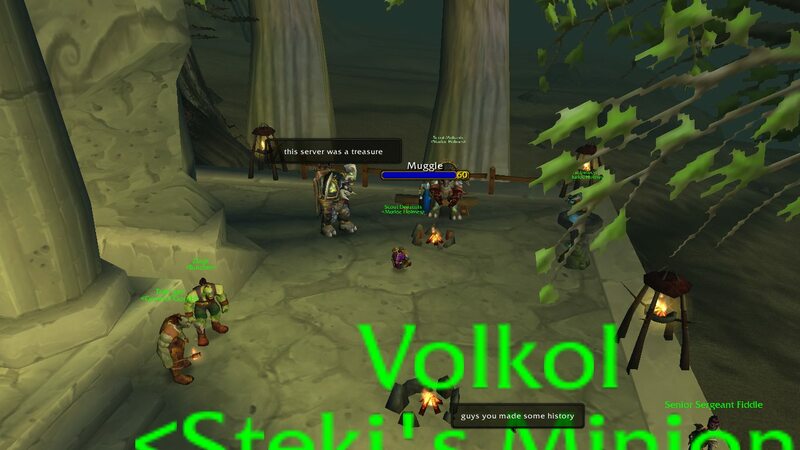 I'm having trouble finding a new private server that doesn't do any pay-to-win or pay-to-anything (one that isn't Nostalrius/Elysium (too populated)). Thank you Rebirth creators. Unfortunately my life has only gotten further unstable so I don't see myself GMing anytime soon, let alone consistent raiding. Hopefully that is a mistaken assumption! P.S. The name 'Dejim' is based off the "He's dead, Jim" line in Star Trek. Even better was that it sounded like a troll name. Thanks for being my NA buddy for a while and showing me the ropes when I was new! Is there any chance we might get an update on Rebirth's source code being available soon? Pretty excited to see what it might do for the private server community. I had a Rebirth dream last night and you were missed today Rebirth.